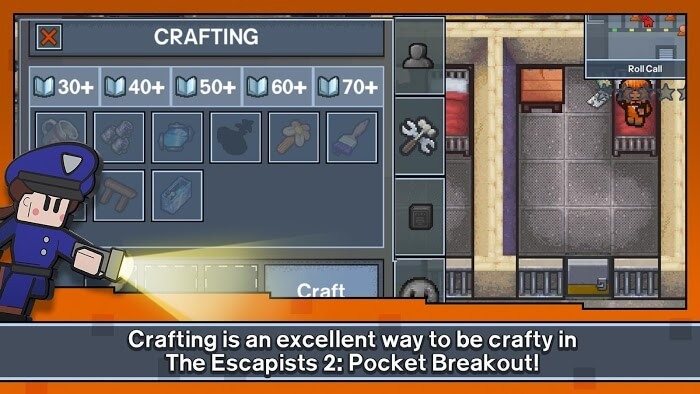 The Escapists 2: Pocket Breakout – Prisons are never pleasant places which are the place to keep dangerous criminals, but it is also a place to keep innocent people. If you’ve ever watched the Prison Break series aired on Paul Scheuring’s Fox TV channel, you’ll probably understand the words I just said. What if you were an innocent person, but someone was wrongfully accused of murder and you were executed? Surely resentful, right? So escape with The Escapists 2: Pocket Breakout. This is a strategy game, developed by Team 17 Digital Limited, and a continuation of The Escapists’ success 1. 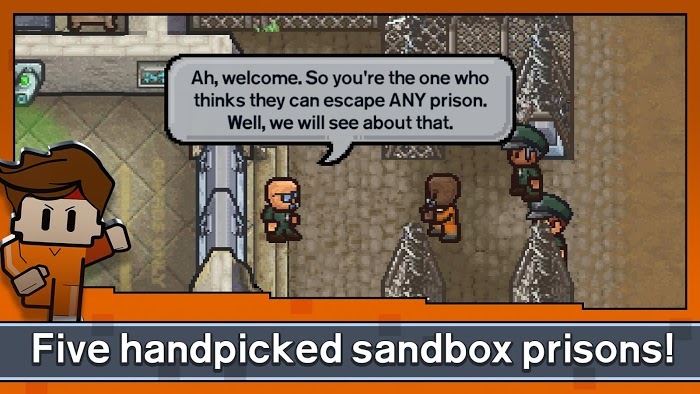 As introduced, in The Escapists 2, you will become a prisoner, imprisoned in the world’s most rigorous prison. Previously, when you refused to work for a gang of gangsters in the city, they sought to take revenge on you. And your consequence is to receive the death penalty for murder. Therefore, your task is to find ways to escape from this place, before the day of your death sentence is enforced. But this escape plan is not simple; you always have to follow the harsh rules and common activities of the prison such as queuing, eating rice, participating in attendance, labor, bodybuilders, … Prisoners will always pay attention to you and other prisoners, so if you just need to break the rules, they will be suspicious. Besides, whenever you perform the tasks of the guards or other prisoners assigned, you will also receive generous bonuses. At the same time, when you play the missions, in addition to receiving the money, you also create good relationships, thereby forming a group of 4 people and working together to develop complete good escape plans. You need to save time, apart from the length of time you have to participate in ordinary activities, you have a small amount of free time, use it to explore the terrain of the entire prison, looking for doors, roofs, and secret tunnels, helping to make the plan a step toward success. The game offers hundreds of useful items. You need to steal them to create the necessary tools. However, keep in mind that you need to do these things discreetly and hide them because if you are found out, you will lose them all. 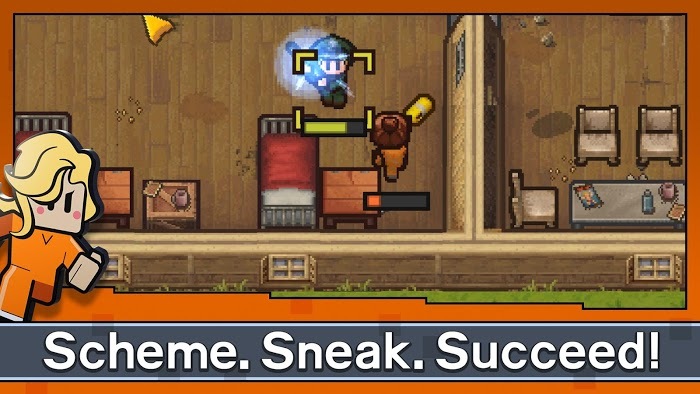 The Escapists 2 is much more advanced than its predecessor, typically with a more abundant number of maps and game modes. There are 10 prisons for you to explore, each with unique characteristics and different architectural structures. For example, Cougar Creek Railroad is a train, all of the prisoners’ activities are in giant mobile iron boxes, this train will take you to a remote prison in the desert, and you need to escape this ship quickly before being taken to the place. Or the last prison: Air Force Con, the prison has been introduced in the trailer, where dangerous criminals are detained, along with the sponsors of the FBI. You will have to find a way to escape from them before they end your life. Participating in The Escapists 2, you have the opportunity to experience the life of a prisoner, participate in attendance sessions and participate in daily work. 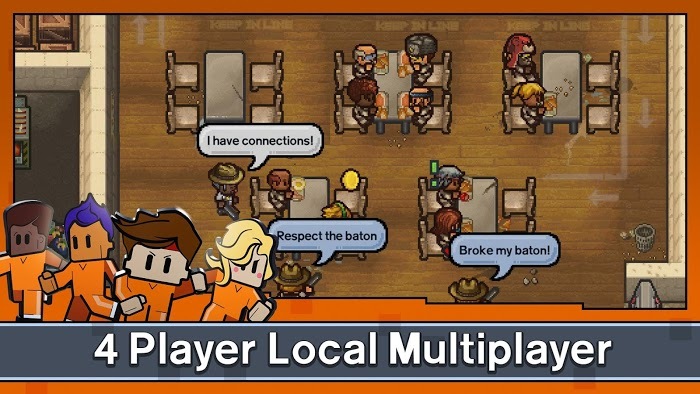 Compared to its predecessor, The Escapists 2 does not have much improvement in graphics, still uses a simple 8bit graphics platform, but has added new maps and more items for players to show. His creativity, escape prison. It’s time for you to be free, steal a prisoner’s uniform, search for a mysterious tunnel, build tools,… and follow everything.